No intermediaries means you are in total control of your funds. Is “no intermediaries” really true, strictly speaking, if our default network connection goes through a remote RPC? You and only you hold your private keys meaning nobody can access your cryptocurrency. But reliance on an “intermediary” RPC can help restrict your access to the funds. Am I in full control of my assets if an ISP can shut down access to the service that allows me to send/receive/exchange it? Again, I understand that this was meant in the “nobody can take it away from you” sense, but mentioning both no intermediaries and total control in the same sentence seems misleading in the second sense, too. Any way to reword it maybe? @anna - thank you so much for the review! I dropped the ball on this and didnt properly plan QA. I have gone through your comments above and am tasking Christi with the edits we can make (i.e. know broken links, including links to stable builds page, image resize on mobile). 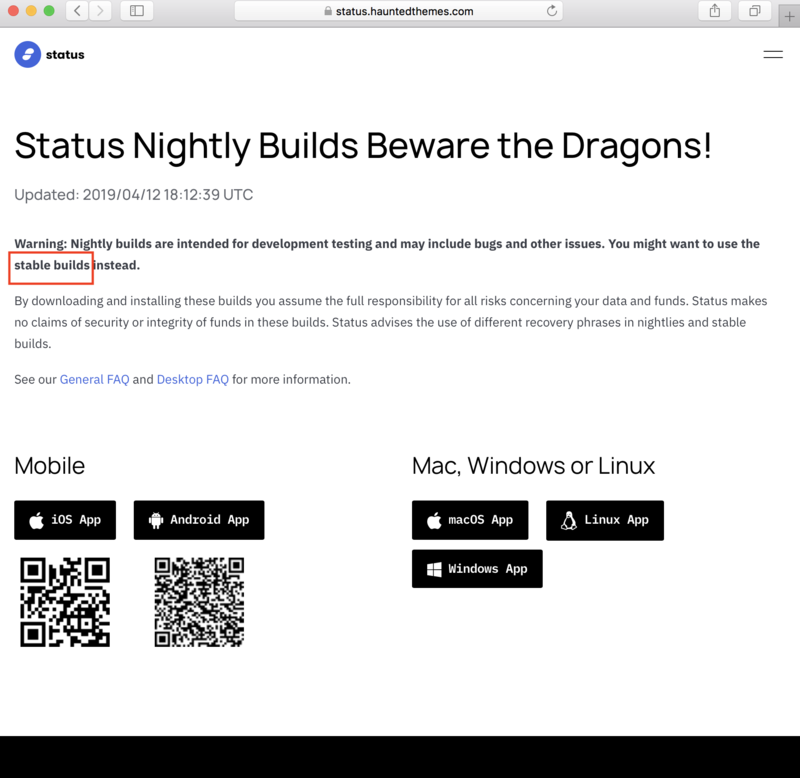 A majority of the broken links were on the https://dev.status.im/about/ page as there was a mistake when linking to the core contributor Github and Status profiles. @jakubgs has implemented a fix which should remedy 125 broken links. most of the other broken links are coming from the docs pages. Docs was out of scope for this project so we simply replicated what was in the current docs into the new design/layout. Therefore anything broken on dev.status.im is currently broken on production. Docs is one of the next projects we really need to take on. @goranjovic - thank you very much for the review. Ive made some edits in the copy spreadsheet. I have made the claims far less bold and rather opaque as to not make any false claims. Will also update the asset. Once we make these edits, I suggest a window of QA for any more broken issues. Then we deploy next week. Once again, truly sorry for not accounting for proper QA on this. 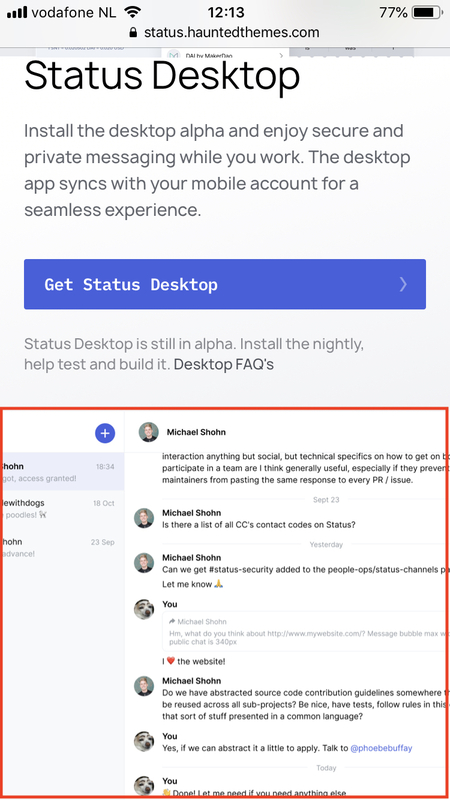 ok, providing my feedback in #status-web-design and thanks @jonathan the new site looks great!